Crayons, Glitter, & Smelly Markers: Kindergarten Creative Dance Unit and Practicum Placement! Great resource for teaching poetry! Kindergarten Creative Dance Unit and Practicum Placement! On Tuesday we finished teaching the last lesson of a creative dance unit in PE with a team of three student teachers. We went to a Kindergarten class at Braefoot Elementary School four times in February to teach a dance which we choreographed to the song "You've Got a Friend in me" from the movie "Toy Story" based on the theme of friendship. The main focus of these lessons was to teach the children how to gallop, and to encourage them different ways to use their bodies to represent friendship while imagining that they are cowboys or cowgirls. This also tied into the rest of the curriculum, since the classroom teacher had initially told us that the students had been working on a friendship unit, and therefore had background knowledge to build on. On the last day, when we were setting up in the gym during lunch recess, three students came up to us and told us how they had been practicing their moves at home, and spontaneously started galloping across the stage over and over again! They seemed so excited about the new skill they had gained, and were extending their learning outside of the four walls of the classroom. The goose bumps I get at these moments are what make me truly know that I had chosen the right career path. 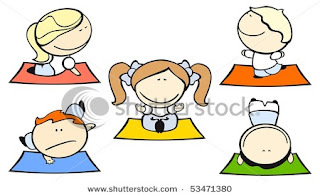 We mostly taught the lessons by starting off with some yoga to get the students calm and focused. This, by the way, seems to be an excellent activity to start off the day as part of a morning routine. Last week, when I worked as an assistant in a grade one class, I was simply amazed by the calming affect this simple routine had on the children. 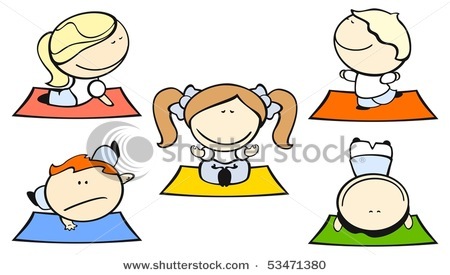 Moreover, when the yoga music started, every child new exactly what pose to do in what order. Not to mention how adorable it was to watch! Anyway, back to the dance lesson. Afterwards we would get them to gallop in lines across the gym and then into open spaces. As a majority of the dance was based on partner work, we had to figure out a simple way to help the children understand who would gallop first, and who would go next, while the other partner stayed frozen in their pose. We decided that the easiest way to show this to the Kindies was to create name tags of with different colours, and call out cues on which colour needs to be galloping at the given times. This also worked out well since we wrote down the lyrics of the song onto a large sheet of paper to show the relationship between the different movements and the colours of their name tags. Even though Kindies would not be able to fully read the lyrics, they would still be able to see from the chart that red goes first, then blue...etc The sections where the partners would move at the same time was written in purple, as red and blue makes purple! At the end of our last lesson, we divided the class into two groups so that one group would be the audience while the other group performed the dance. The audience group was told that their job while watching their friends was to pick one thing they liked about the performance. I was SO impressed by the feedback the Kindies gave to each other! One child said that he liked how another student had stayed in character as a cowboy while galloping across the gym. Another child praised another pair of students for how well they were able to display their friendship in creative ways. I guess I had underestimated the Kindies a little bit! Since there were many groups of us student teachers going Braefoot Elementary to teach different creative dance lessons, our professor had planned an assembly on Wednesday so that the children could perform the dance in front of the school and their parents. It was also going to give us a chance to see what the other trios had been working on, which I was quite excited about. Unfortunately, this won't be happening this week, and may be cancelled as a result of the teacher's strike happening in BC right now. Hopefully the assembly will be rescheduled. Sounds like a great day! That is also exciting that you found out your placement. I was always sooo stressed waiting for mine because I never knew what grade I would get. I am excited to hear more about your upcoming practicum. Good luck planning! There are lots of great Grade 6 blogs ( the adventures of a 6th grade teacher, and joy in 6th are two that come to mind) to check out. Thanks for commenting! 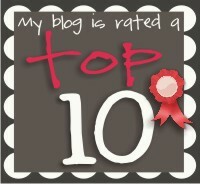 I've checked out the blogs you suggested and I'm following both now! I've found so many useful tips already :) Thank you so much for recommending them! I'll be posting more about my practicum soon! I'm getting more excited every day. I'll be going into the classroom to meet the students for the first time this Friday. Can't wait!! 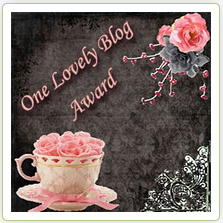 Thanks for leaving the sweet comment on my blog! Good luck with your practicum! Thanks for finding my blog! :-) I'm happy to follow you! Thanks for visiting me. I LOVE teaching kids PE and it's so beneficial. I'm now following you.